Reserve your spot at 2018 Together We Can! 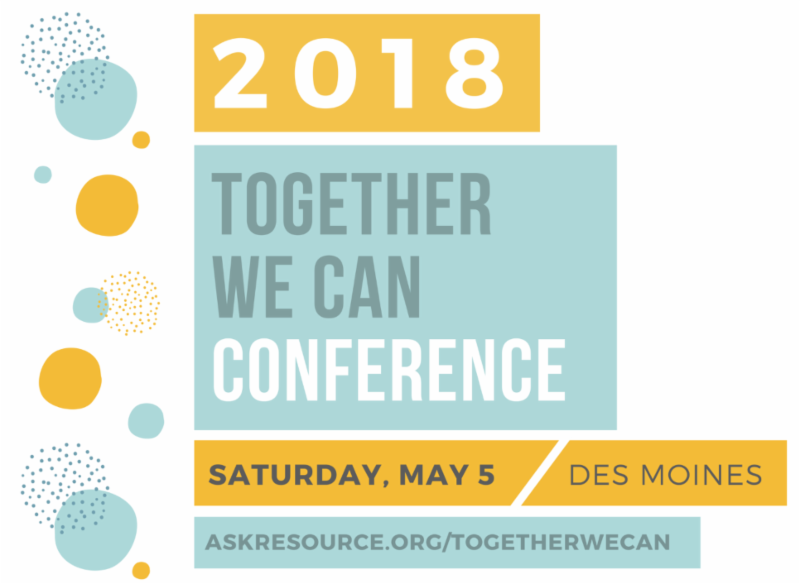 Join us on Saturday, May 5, 2018 at the Iowa State Fairgrounds in Des Moines for a full day of learning and networking opportunities focused on helping to meet the lifelong needs of people with disabilities across the state! Coming soon: Conference flyer, session details and much more! David Harrell & Rylin Rodgers!